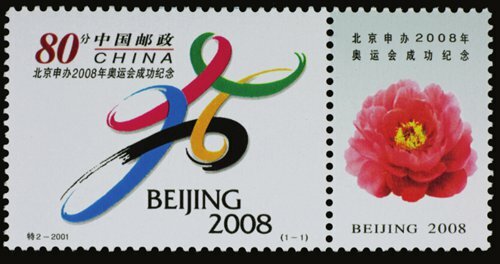 On March 18, 1978, China Post issued a set of stamps that contained three pieces in memory of the National Science Congress, which were chosen as the best stamps to mark the 30th anniversary of the establishment of the People's Republic of China (PRC). Designed by Xu Yanbo, this set of stamps contained elements like the emblem of the National Science Congress, ears of wheat, a gear, a plane and a man-made satellite, symbolizing the modernization of China's agriculture, industry, national defense and science and technology. Meanwhile, it also added the elements of red flags and atomic models, symbolizing the leap of China's science and technology in the future. The chief architect of China's reform and opening-up policy, Deng Xiaoping, said that "special economic zones are windows of technology, management, knowledge and also of foreign policy." Since the beginning of the reform and opening-up, China has established special economic zones in Shenzhen, Zhuhai and Shantou in Guangdong Province, and Xiamen in Fujian Province respectively. They were the proving grounds of China's modernization and economic development. The achievements they've made has become a legend around the world. On April 26, 1988, Hainan Province and the Hainan special economic zone were established.